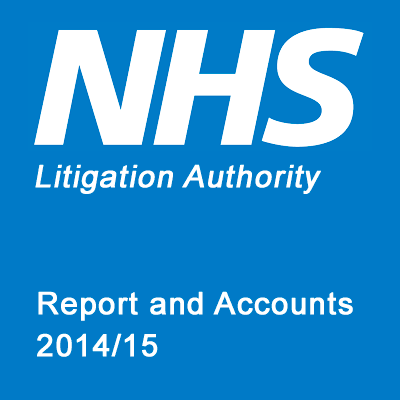 The NHS Litigation Authority (NHSLA) was established in 1995 as a not for profit Special Health Authority which fulfils several different roles. The main purpose of the NHSLA is to provide indemnity cover for legal claims made against the NHS, which are almost always the result of cases of medical negligence. It also offers other legal and specialist advice to its members and uses the information pooled from dealing with a range of claims in order to support learning around the issues of medical negligence, litigation and improved clinical outcomes in general. The NHSLA manages claims made against NHS members and also private practitioners who provide care on behalf of the NHS. When the NHSLA feels that a claim for compensation is justified it strives to settle the claim as quickly and fairly as possible, but if it is felt that a claim is unjust it will be defended in a robust and firm manner. The NHSLA feels that this reflects not only natural justice and fairness for its members but also means that precious resources will be protected and kept for use within the wider NHS. The NHSLA attempts to deal with all claims as quickly and efficiently as possible. 99% of the claims it deals with are actually resolved without the necessity of going to court, something which keeps legal costs as low as possible. As well as dealing with ongoing claims in a practical manner, the NHSLA uses the information it gathers in order to increase safety in the NHS and, as a consequence, reduce claims in the future. As part of this process it also provides the National Clinical Assessment Service (NCAS), which offers support to the NHS and its practitioners where there might be any concerns with performance levels. As well as these practical matters, the NHSLA aims to encourage a sense of openness and transparency within the NHS, under which it is hoped that any problems will be honestly accepted and dealt with, rather than, as may have been the case in the past, being swept under the carpet. It is hoped (and believed) that the more open attitude toward the complaints procedure which has been fostered by the NHSLA encourages more people to stop ‘suffering in silence’ and to make their concerns known, in the belief that their claim would be dealt with fairly. One of the side effects of this is the increase in the amount being paid out in the event of successful claims. In terms of simple facts and figures, the annual report made it plain just how much the amount being paid out has risen in the past decade. In 2005, there were 5,967 claims made, which resulted in overall costs of £560.3m, including £406.0m in actual damages. By 2014/15, the number of claims being made had risen to 11,497, with costs going up to £1,169.6m, which included £774.4m directly in damages. More patients than ever are being treated by the NHS. The overall number of hospital admissions in 2013/14 was 15.462m, which is an increase of 32% on the figure of 11.699m admitted a decade earlier. More patients are reporting incidents than ever before, with the number rising from 867,000 in 2006/7 to 1,637,000 in 2013/14, which represents an increase of some 189%. Other facts and figures within the report, which at some points suggests that more adverse incidents are leading to compensation claims (although the figures show that this increase is in fact only slight), tend to be presented as if the popular conception of a ‘compensation culture’ was reflected in the facts and figures collected whereas, when these figures are drilled down into more deeply, the idea of too many people claiming compensation without due cause doesn’t really hold up. Indeed, the increase in the amount of compensation being paid out could be a reflection of the successful impact of the work carried out by the NHSLA. It would be interesting to gather the views of ordinary patients with experience of the ‘frontline’ of NHS care, to see whether the patients themselves feel that the NHS has moved in the direction of a positive reporting culture in which they feel empowered to speak their mind and demand the best possible treatment.